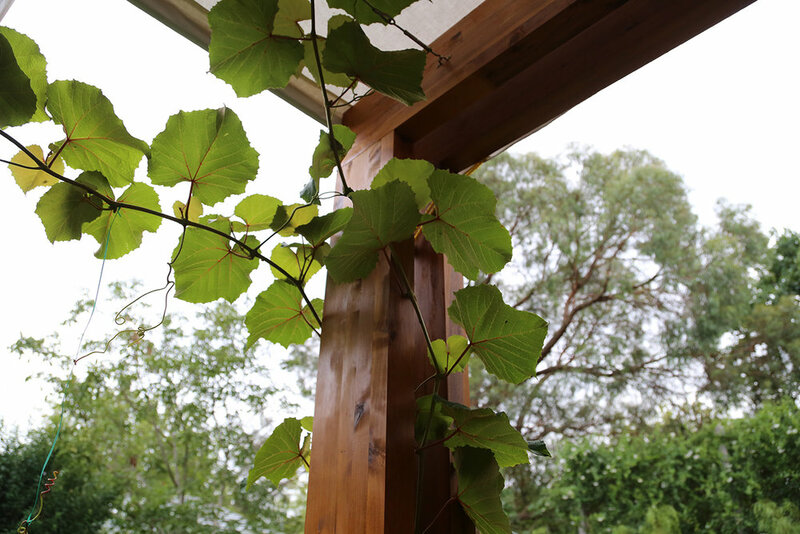 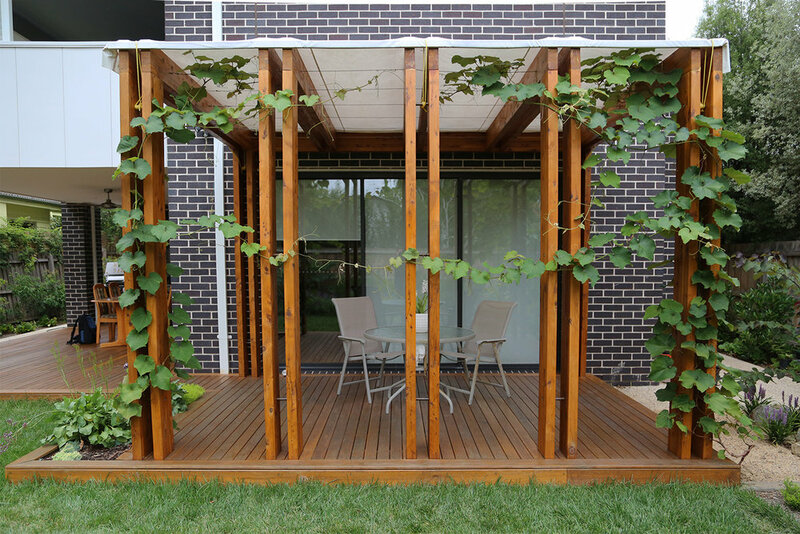 This design included a decking extension/bridge which leads to a beautiful pergola structure. 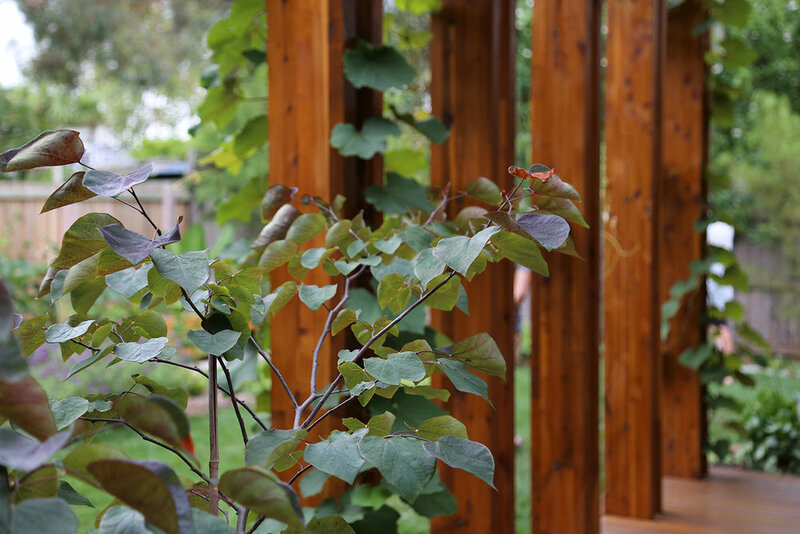 The pergola sits amongst a biomorphic lawn, surrounded by a heavily planted garden bed mixed with perennial grasses, flowers and feature trees. 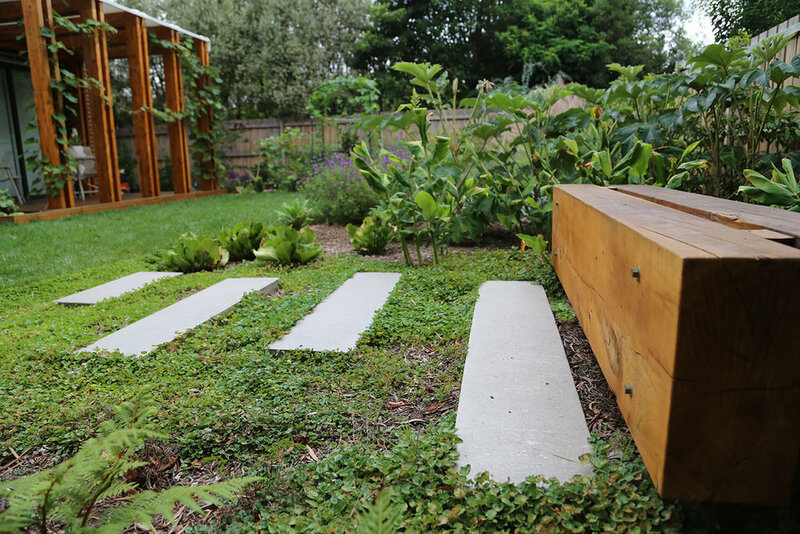 The perimeter garden bed also has a seating area with a Tasmanian Oak hardwood seat and concrete stepping stones, surrounded by lush tropical vegetation. 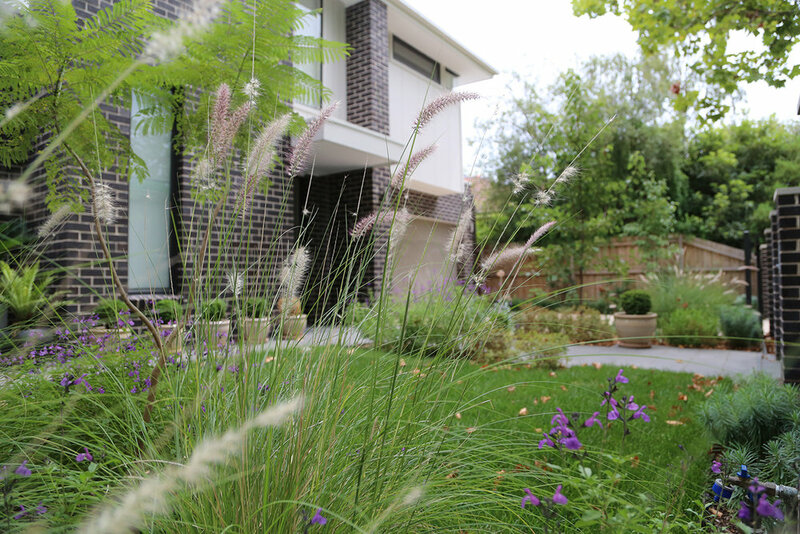 The front garden focussed on using a reduced planting palette to seamlessly blend into the streetscape.